After a brutal 10-game road trip, the Dodgers finally returned home, but they didn’t get much of a break as they got a four-game series against the Brewers. A mediocre start on the mound and a stagnant offense throughout is not something that usually leads to wins, and there was no exception here as the Dodgers fell to the Brewers, 5-2. Kenta Maeda may have deserved a better fate in his last start against the Phillies, but he may have deserved a worst fate in this start against the Brewers. Kenta labored through 102 pitches over 4.2 innings, striking out four batters but surrendering seven hits and three walks for four runs. Have to hope this was just a blip and not a trend. Dylan Floro relieved him in the 5th, getting the final out on a grounder to avoid further damage. He also emerged in the 6th to get a 1-2-3 inning with two strikeouts and another grounder. Scott Alexander got the 7th and continued to look like a new man, getting four grounders, with one sneaking through for a single. Pedro Baez took over and gave up a run on a (misplayed) triple off the wall and blooper, though at least he got the 8th. Daniel Hudson finished the work of the pen in the 9th, getting a 1-2-3 frame with a strikeout. 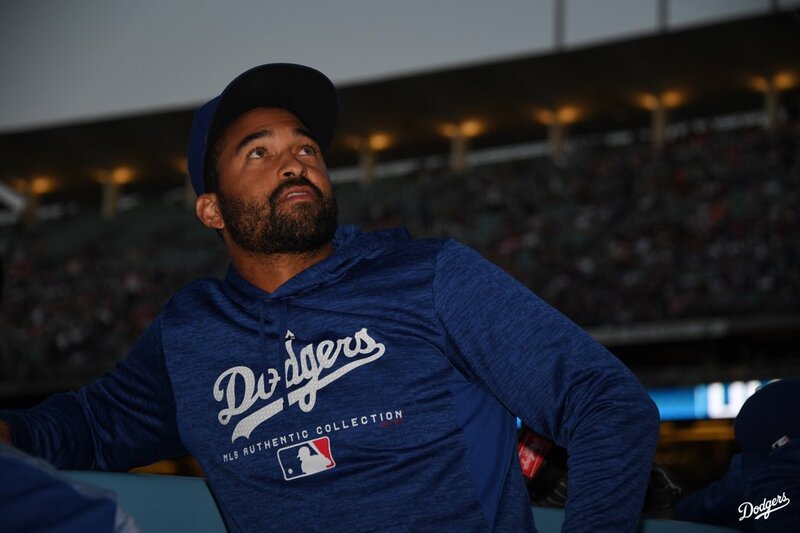 After 1st there was a delay of about 20 minutes due to a power outage, making the Dodgers offense not the only thing suffering from that malady (Am I right, folks?). 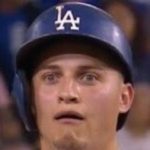 Seriously though, while the Dodgers got a run with two outs in the 3rd behind a Manny Machado walk and Max Muncy triple to right, they struggled otherwise. Later in the same inning, they stranded the bases loaded, and they left runners in second and third with one out anchored in place in the 4th. In the 7th, they left runners at first and second with one out as well. Unless they're gonna come back and win it, please just go 1-2-3. Nope! Machado hit a dong to center with one out in the 9th to get the Dodgers to within three runs, but that was as far as they got. All said and done, they stranded 11 on the night and went 0-for-5 with RISP, getting seven walks but just five hits. Time to panic and sell or something. The Dodgers fall back to 59-48 on the year and a surprisingly mediocre 28-25 at Dodger Stadium. Fortunately, the Diamondbacks lost tonight as well, so the NL West lead remains at a half game. Walker Buehler will take the mound looking to find his form against against literally Wade Miley at 4:10 PM HST/7:10 PM PST/10:10 PM EST tomorrow.